Sternwarte Siebengebirge e.V. 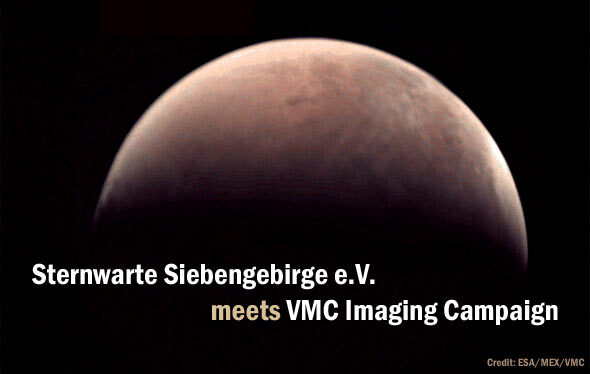 meets VMC Imaging Campaign (EN) @ Sternwarte Siebengebirge e.V. Welcome to the application by Sternwarte Siebengebirge e.V. for an individual observation session within the VMC Imaging Campaign. Promotion of education in the field of basic science astronomy and amateur astronomy for all ages. The implementation of adventure and education projects, particularly for children and adolescents. For this purpose, the board will seek recognition in accordance with §75 SGB VIII. The conception, application and execution of projects that develop and implement ideas of inclusion, amongst other things with the goal of a barrier-free exchange of knowledge and content of experiences. The promotion of resilience and quest for meaning in children and adolescents through the facilitation of a deeper understanding of their role and value as a human being. The facilitation of a humanistic view of the world that makes respect for nature and the interpersonal experience perceptible. The operation of mobile and stationary observatories. Development of projects that integrate knowledge content from astronomy, cosmology and astrophysics into everyday life, such as through the creation of a planet trail. Further actions to be decided upon as a resolution of the general meeting of the association. 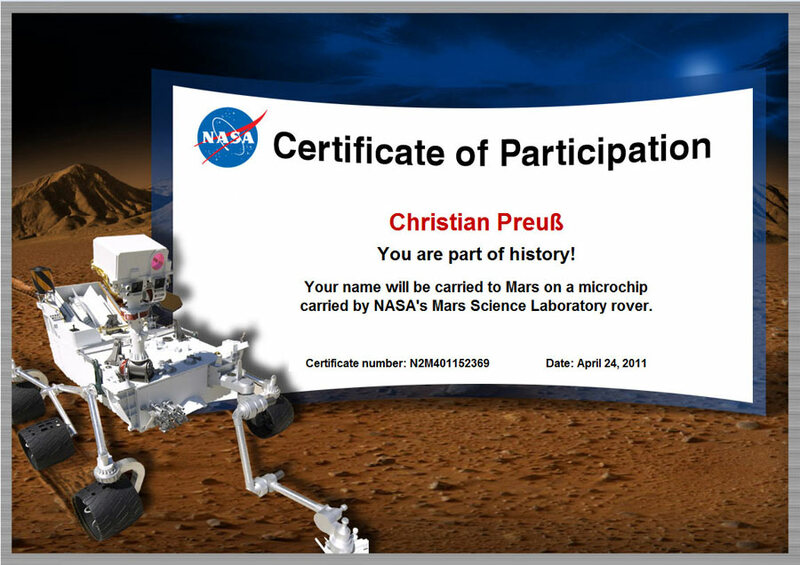 extensive experience in teaching astronomical spheres of experience in schools,Certified Participant NASA Mars-Lander Curiosity and MAVEN, amateur astronomer. Raising public awareness of our aim to create a planet park and a stationary observatory in the Siebengebirge nature reserve. Schools, school classes, art classes will construct and paint OLYMPUS MONS as a true to scale 3D model (plastic, sculpture). The young artists will use the VMC images as a template, but may also refer to other image sources if more details are required. July: The club jury will view the works of art from the participating schools and select the most striking piece. The award to the best work of art will take place at a public exhibition. The school being awarded first place will be presented with a new telescope for educational use. 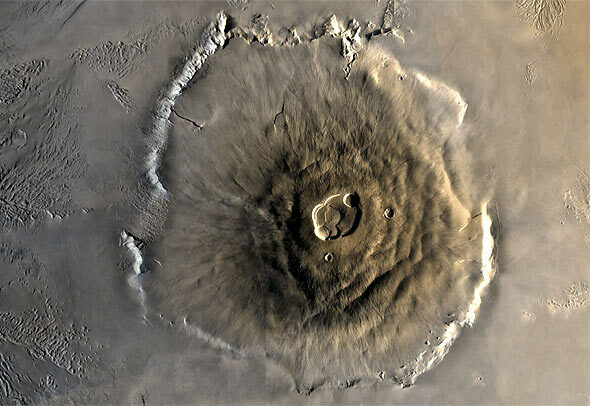 Thereafter there will be a presentation on the subject of the VMC Imaging Campaign, Olympus Mons and volcanoes on Mars and on Earth (in particular in the Siebengebirge region). By 31 July: End of the project. Delivery of the project documentation to the VMC team. After the summer holidays all participating schools will be offered a demonstration of our club project „The Cosmic Light„. It is our contribution to the International Year of Light 2015, declared by UNESCO. 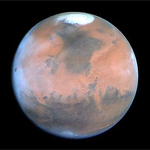 On May 22, 2016 MARS stands in opposition and close to the earth. To mark this occasion in 2016 we will once again perform a public presentation of the project results. We shall invite a representative from the VMC Imaging Campaign team to inform our guests about the current status of the Mars Express mission. 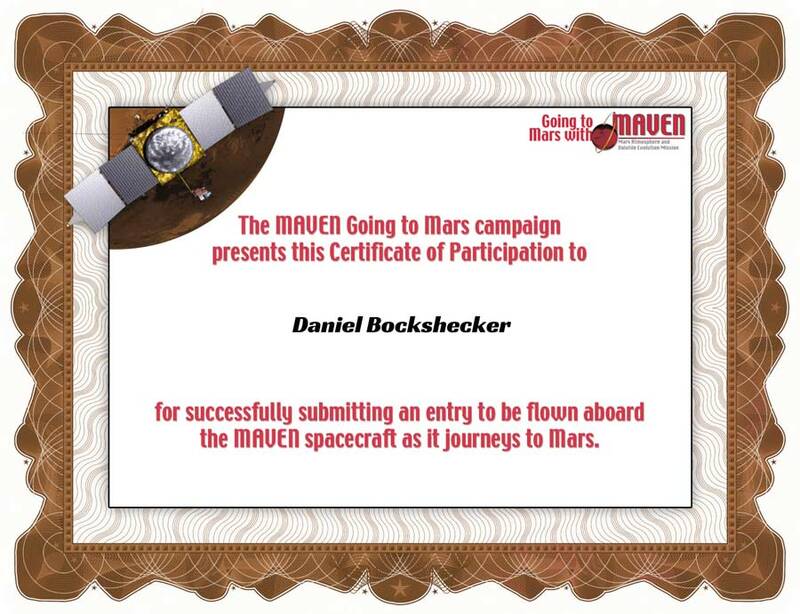 Kindergartens, schools, youth centers and children’s homes in the region will have the opportunity to see MARS live through our telescopes. Are you as inspired by our project as we are? Then we look forward to your positive feedback regarding our announcement on May 8. Yours team ot Sternwarte Siebengebirge e.V.